Many people do not realize that the holiday season continues for Jewish people beyond Rosh Hashanah and Yom Kippur. We are actually celebrating Sukkot right now. 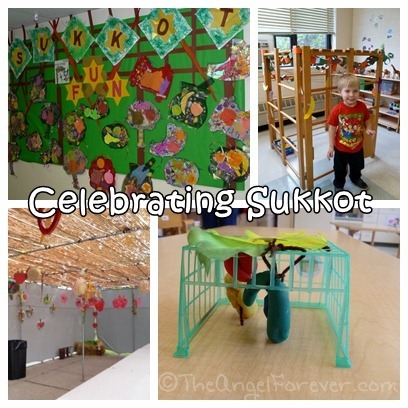 In the past, I have shared photos from our Sukkot celebrations, including those from JSL’s nursery school last year. While we do not have our own sukkah, the boys helped to make decorations for the one at Hebrew School. We also hope to bring them to visit the one at our synagogue. While I am off sharing traditions with my family, I thought I would include a new Sukkot video from the Fountainheads.